US Army Map and closeup. The Imia islets belong to Greece. Ref: US Army World Series, NJ-36, Hayden Library, MIT. Turkish Map (the front of the map in 2 parts, the back of the map in 2 parts, and a closeup). 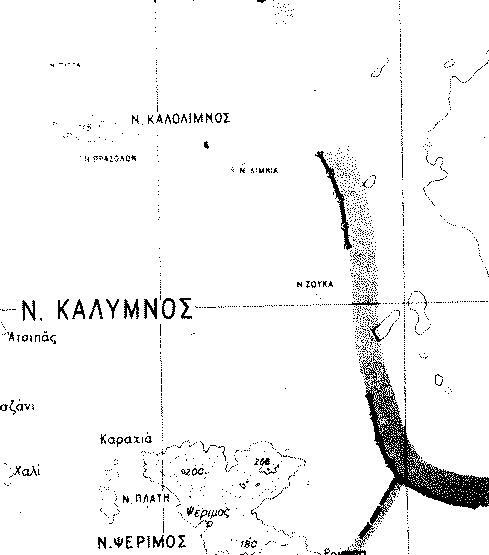 The Imia islets belong to Greece. They are called "Kardak inset", in English, while the names of places belonging to Turkey are written in Turkish. Ref: Codex Cultur Atlas, 1:300,000, Pusey Library, Harvard. Russian Map (the whole map in 4 partly overlapping parts (2x2), and a closeup). The Imia islets belong to Greece. Russian Caption [translation]: "Imia Islands" and under it in brackets, with smaller letters: "[Kardak Rocks]". Ref: Pusey Library, Harvard. German Map (the whole map in 12 partly overlapping parts (3x4), and a closeup). 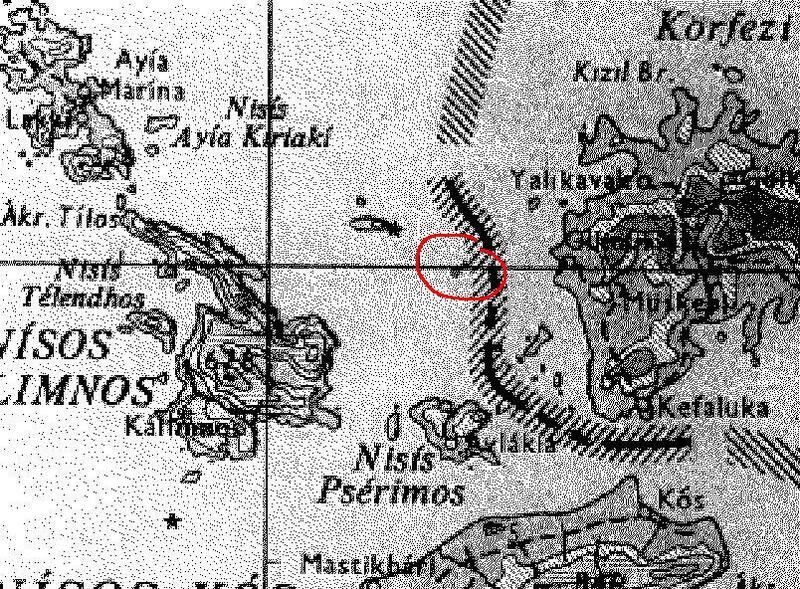 The Imia islets belong to Greece (Note: The Zucca islet is erroneously identified as turkish) Ref: Pusey Library, Harvard. 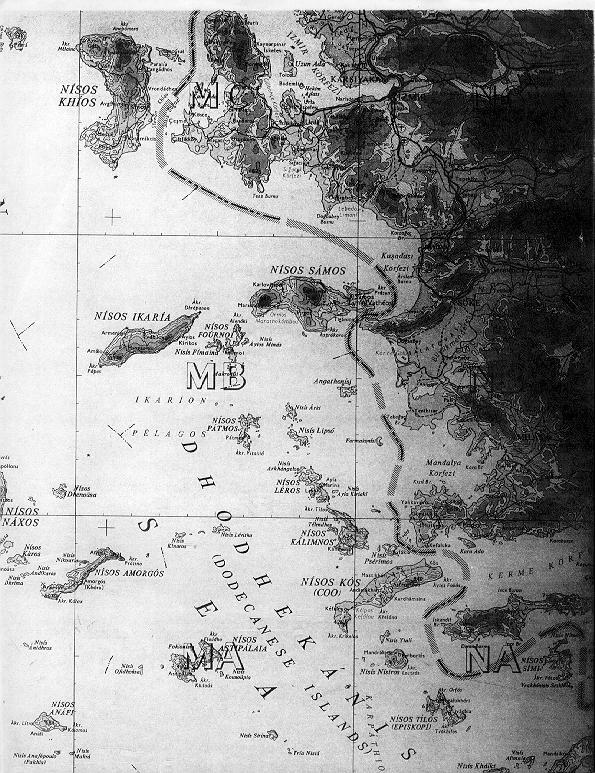 Greek Map and closeup. The Imia islets belong to Greece. 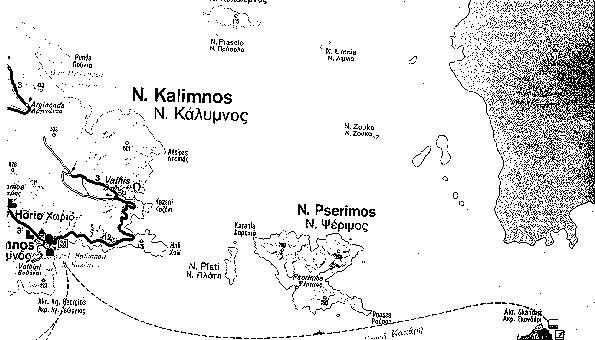 Only the places belonging to Greece are given names in the map. Ref: Pusey Library, Harvard. Another Greek Map and closeup. The Imia islets belong to Greece. 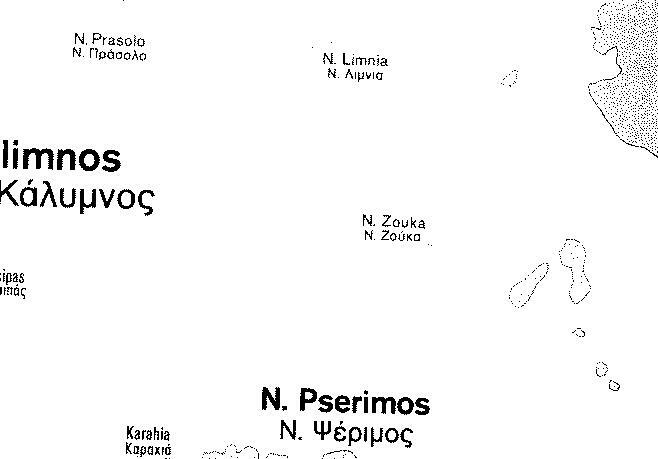 Only the places belonging to Greece are given names in the map. Ref: Pusey Library, Harvard. 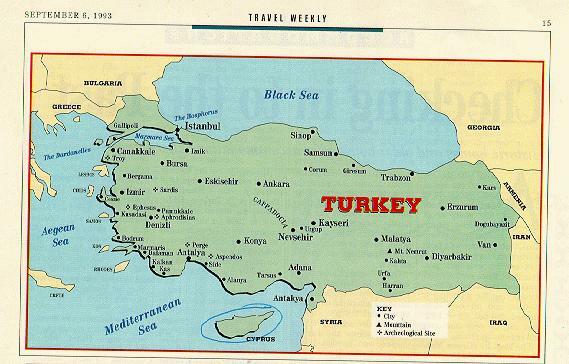 In a brochure of the Turkish Tourism Office, Washington, edition 1995, the whole of Cyprus appears Turkish. 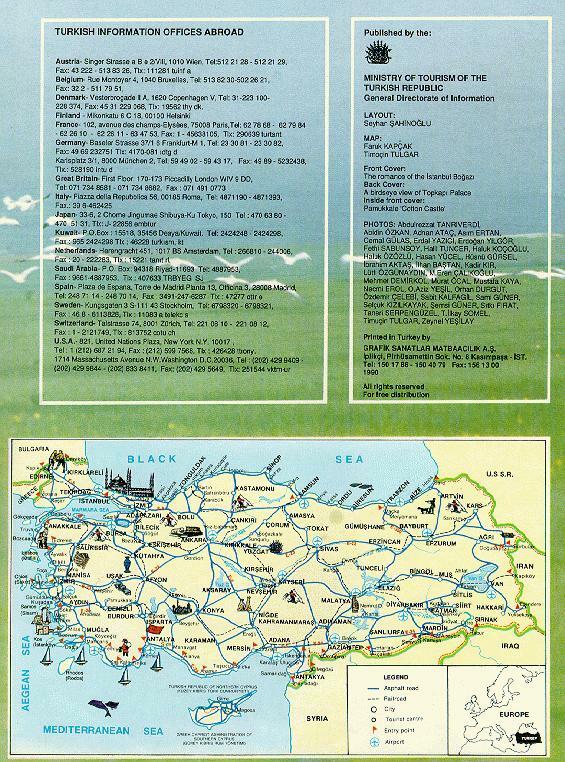 In a brochure of the Turkish Ministry of Tourism, edition 1996, the eastern aegean islands appear with a double name (Greek/Turkish). Everywhere else, ONLY places in Turkey are given names. 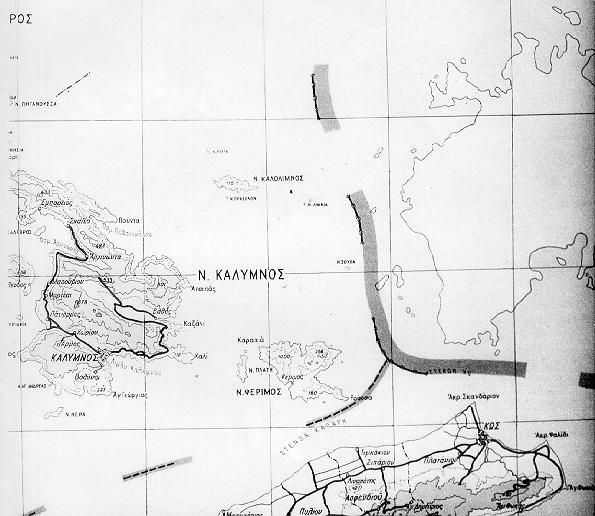 In addition to that, main roads are shown only in Turkey AND in the whole of Cyprus. In Cyprus, the northern part bears the name: "Turkish Republic of Northern Cyprus", while the southern part: "Greek-Cypriot Administration of Southern Cyprus".